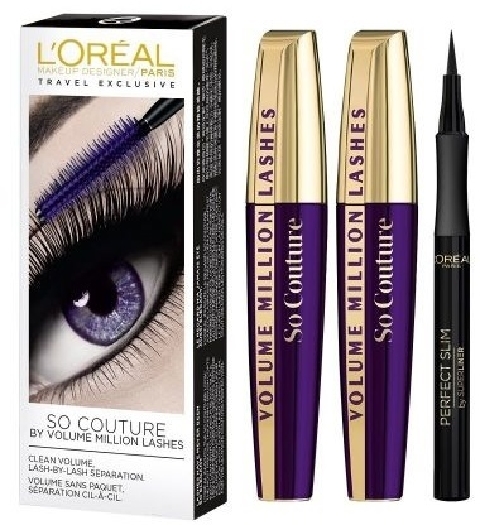 L'Oreal Paris Mascara False Lash Superstar Set contains: 2 False Lash Superstar Mascaras and Superstar Super Liner. 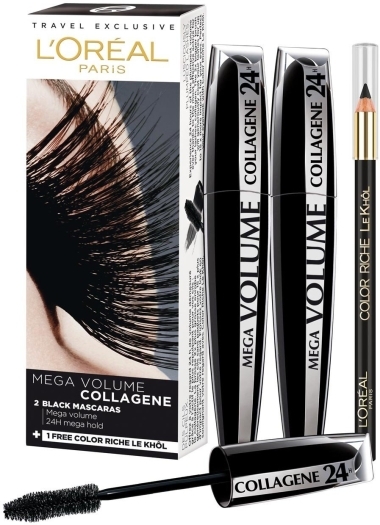 The mascara creates supersized and superlong lashes in 2 steps. 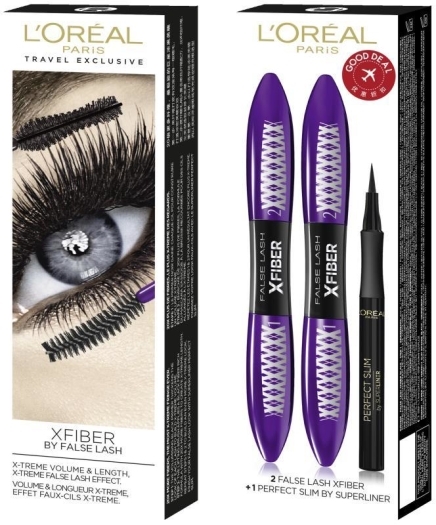 Step 2: the lifting brush perfectly coats the primer and makes your lashes seductively curly and elongated. 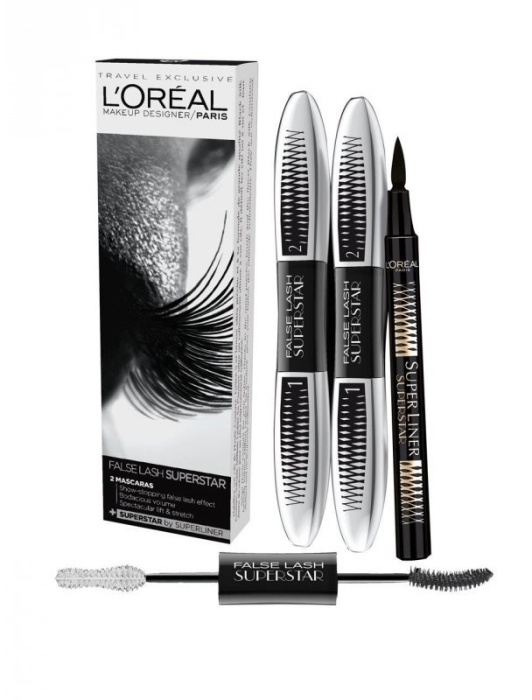 Finish the makeup with the Superstar Super Liner. 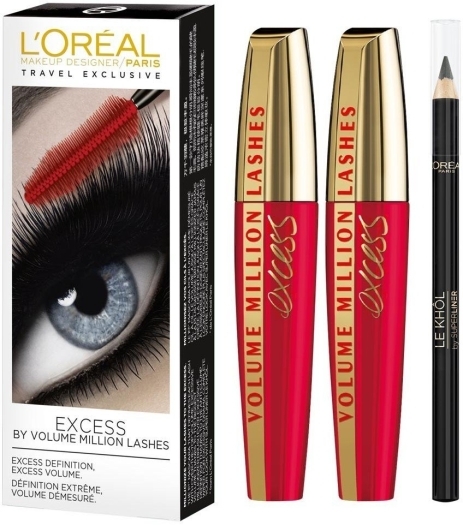 Its specially designed felt tip implements your every wish from super-thin to super-bold in a single stroke.